Halloween falls on 31st October every year and its commercial holiday in most of the part of world. The best about Halloween is candy, costumes, pumpkins, decoration and of course the deals and discounts. That’s why EngineThemes is happy to offer the HUGE discount to 31% on all of our premium themes and extensions. Discount: 31% Off on all of our product. Add themes and extensions to your cart. 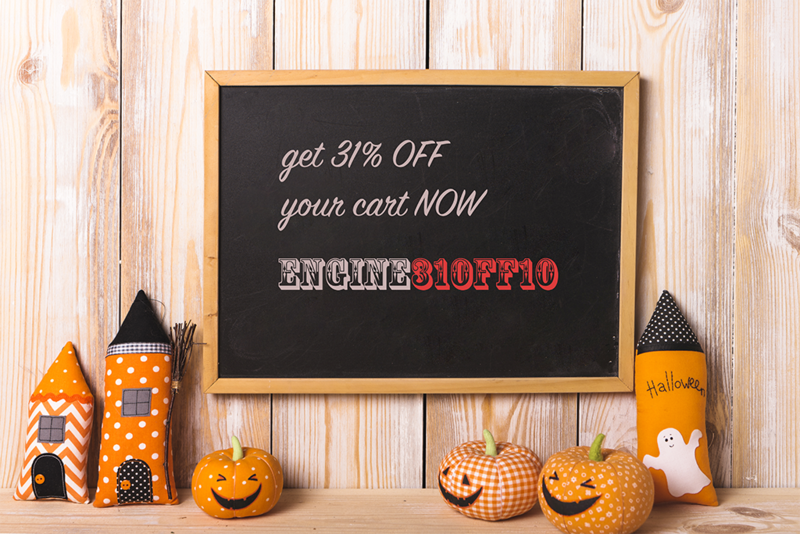 Enter promo code ENGINE31OFF10 at checkout and receive 31% off! Halloween is around the corner and this great festive season is the right time to grab the special money-saving Halloween deal.